Director George Lucas, author Joan Didion, actress Elaine May and musician Herb Alpert are among the recipients of the latest National Medals of Arts honors. The White House announced Wednesday that President Barack Obama will present the 2012 awards on July 10 in the East Room of the White House, with the first lady in attendance. 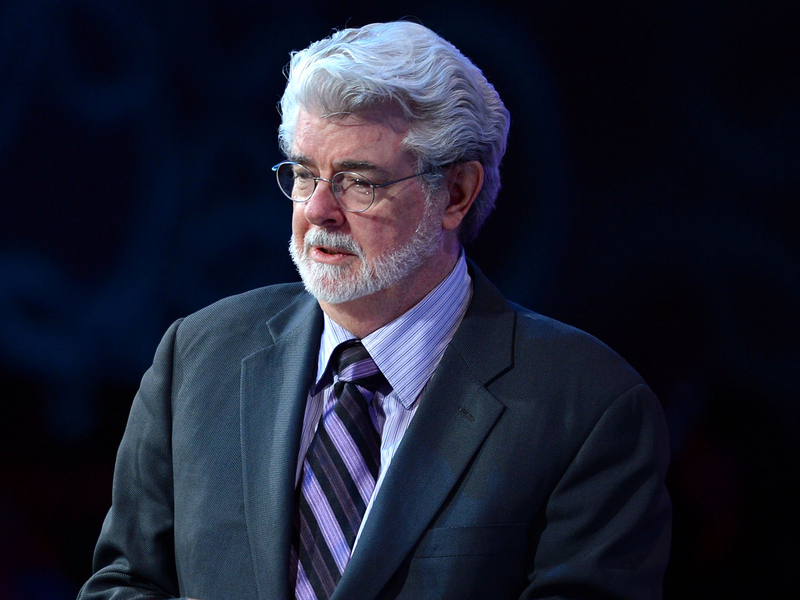 The "Star Wars" creator is being honored for his contributions to American cinema. A statement explained: "By combining the art of storytelling with boundless imagination and cutting-edge techniques, Lucas has transported us to new worlds and created some of the most beloved and iconic films of all time." Alpert will receive the national arts honor for his musical contributions to society: "The musician behind the Tijuana Brass phenomenon and co-founder of A&M Records, which launched several storied careers, Mr. Alpert is also a philanthropist who shares the power of arts education with young people across our country." May, meanwhile, will be recognized for her contributions to American comedy: "With groundbreaking wit and a keen understanding of how humor can illuminate our lives, Ms. May has evoked untold joy, challenged expectations, and elevated spirits across our nation." Playwright Tony Kushner, musician Renee Fleming and the Washington Performing Arts Society have also been chosen to receive a National Medal of Arts. The 2012 National Humanities Medal recipients will also be recognized at next week's event in Washington. Honorees include author Joan Didion, playwright Anna Deavere Smith and sports editor Frank Deford. See the complete list of honorees here.